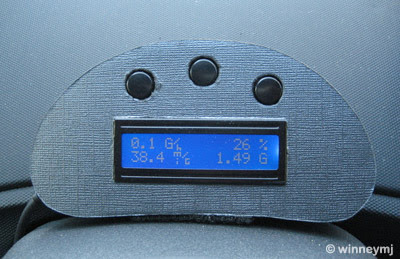 If you want to add OBD Gas Gauge instrument to your old car, you can try to build your self CAN-BUS OBD Gas Gauge based on Arduino like winneymj did. Before build this project, make sure that your car supports CAN-BUS protocol. Not all cars do, especially older cars, before 1998, but more and more new cars do. My inspiration for developing this gas gauge was after purchasing a new car (Scion Xa) and wondering what MPG I was getting. After much research on ODBII protocols (Scions support CAN-BUS), and looking into open source software that already existed (OBDuino32K) I delved into my first Arduino project. This project has taken me over a year to put together from building my own CAN-BUS shield, learning to design a circuit board, soldering SMD parts and then building my own enclosure so I could mount it in my car.